For Competitive Keywords – Think Like a Big Fish! If you are involved with Marketing Products and Services Online, thinking like a big fish is vital for breaking free of the constrictions of the traditional marketing (food chain) and skipping to the front of the line. Are you thinking like a big fish in a small pond or a small fish in the ocean? Are you setting your sights on attainable goals? You will never know until you try, and sometimes failing only motivates you to try harder. Instead of nibbling at keywords that produce marginal traffic, why not embark on a conquest for a competitive keyword to test your mettle? There is no mystery in going after competitive keywords, they just require more time (for authority to develop), more content (to reinforce relevance) and more link diversity (to create the right link profile) for success. Have you set your heights to low? How competitive are you keywords? 50,000, 100,000? 1 million, 300 million 600 million competing phrases. 1) Perform a search query with the keywords “in quotes”. This is a quick way to assess the benchmark of exact match (how many sites are competing for the term). 2) Perform an allinanchor check allinanchor:domainname.com , if it matches up, then you know that the exact match is fairly accurate in determining the barrier to entry. 3) Find the top 3 sites and cross reference their age, back links and number of respective pages on the subject (SEO Quake is perfect for analysis). If you see a page ranking for the phrase, other than the home page, then check the number of links pointing at it externally. Then analyze those links (with SEO quake) to see if they have authority. Most sites for moderately competitive phrases are only augmented by a handful of external links. Then it is merely a metric of quality, relevance and timing to outrank their page. By assessing these initial indicators, you can at least determine the vista of the benchmark for each of their respective techniques. Opti-link and Opti-spider are also great tools for looking behind the scenes. 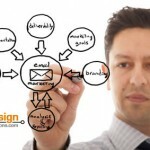 Next to determine where your site fits in. What is your sites SEO ceiling? Use one of your most prized traffic bearing phrases and have a look at your “keyword in quotes” in Google or Yahoo. Then see if you can find other related phrases in the top 20 results. Have the keywords stemmed yet? (sprouted into multiple keywords) or does your site just rank for a narrow niche of phrases pertaining to the keyword? The problem with targeting less competitive phrases is, once you acquire them, it is more difficult to go after the main keywords (unless you refine your entire on page and off page strategy). The conclusion is, aim high, be patient, add quality content, increase link relevance by augmenting older content with fresh links and linking to newer content from the older pages and keep building link popularity until the inevitable occurs (the coveted ranking you always wanted). 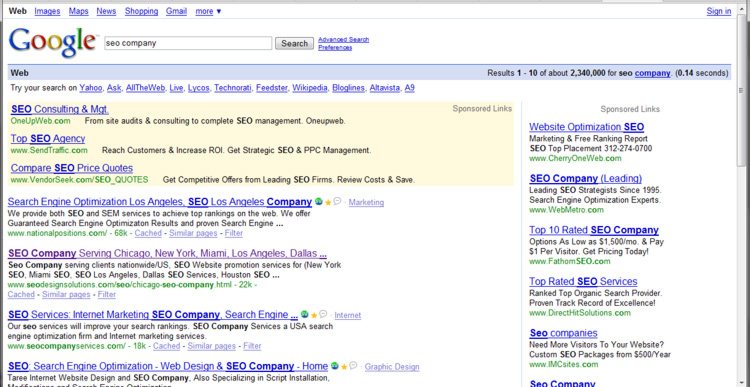 Ours just happened to be for the phrase SEO Company in Google, we will enjoy it while it lasts. 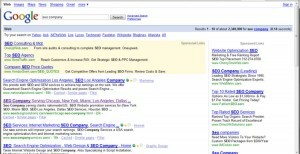 SEO and Big Brands…Do they ALL need it? 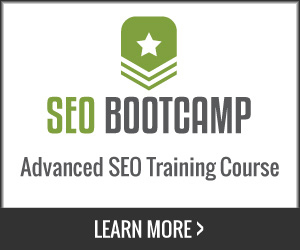 With SEO, The Only Competition is Yourself! Jeffrey_Smith Jeffrey_Smith For Competitive Keywords – Think Like a Big Fish! Another killer article. I would like to base my next module around this article on my blog–deansguide.wordpress.com. Thanks for the inspiration! Great article not sure if I like SEO Quake or SEOBook as the add on for firefox any tips on which is faster and has more features?